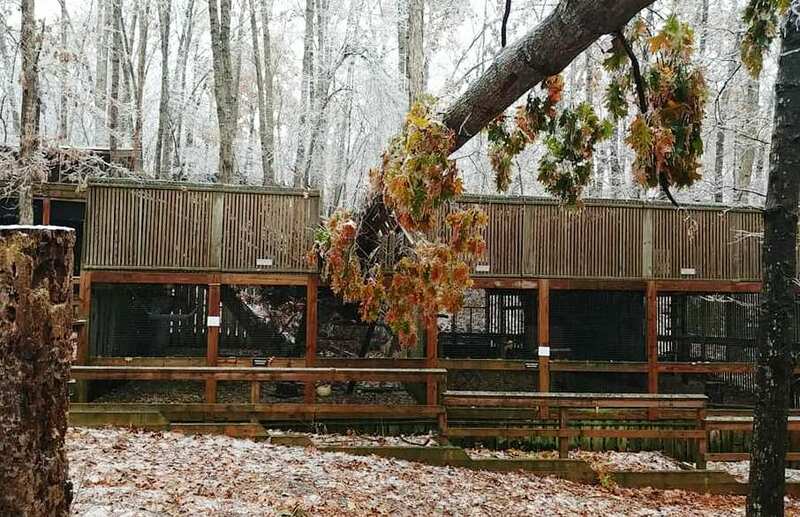 I’m taking off my Baseball Bloggess cap today to let you know about the damage that the recent ice storm did to the Wildlife Center of Virginia … and how we can help! 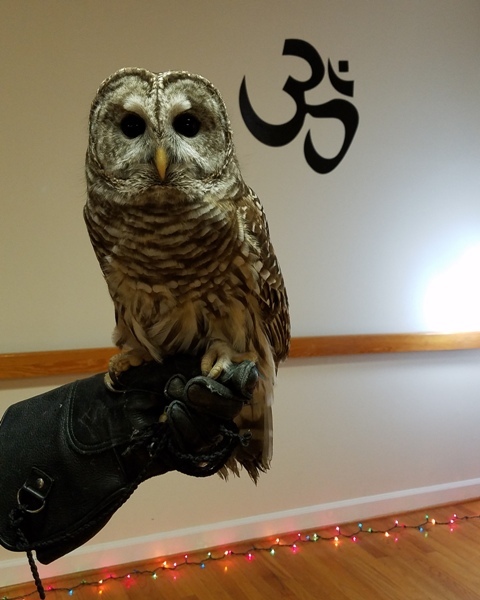 I’m also delighted to invite you to my annual Wildlife Center Open House which will be at my Yoga Studio in Orange, Virginia next Saturday, December 1. Some of you are nearby enough to swing by — please do! And, for those folks who are a bit too far afield … but would still like to help … keep reading! Thank you! On November 15, a destructive ice storm hit Virginia. It did an enormous amount of damage at the Wildlife Center of Virginia. Just one of the many damaged animal enclosures. Thanks to the quick and selfless actions of the Center staff in the midst of the storm, no animals were injured or escaped … although several had their habitats and homes severely damaged or destroyed. There’s quite a rebuild ahead for the Center, and so our annual Open House & Yoga Class to support the Center couldn’t come at a better time. The Wildlife Center of Virginia depends on the generosity of individuals like us to support their life-saving work. They have cared for more than 3,000 wild animals this year … and new patients come in every single day. They need our help more than ever today.